When I was still in grade school we lived outside of town. Going in to town was a highlight because there was a pool. 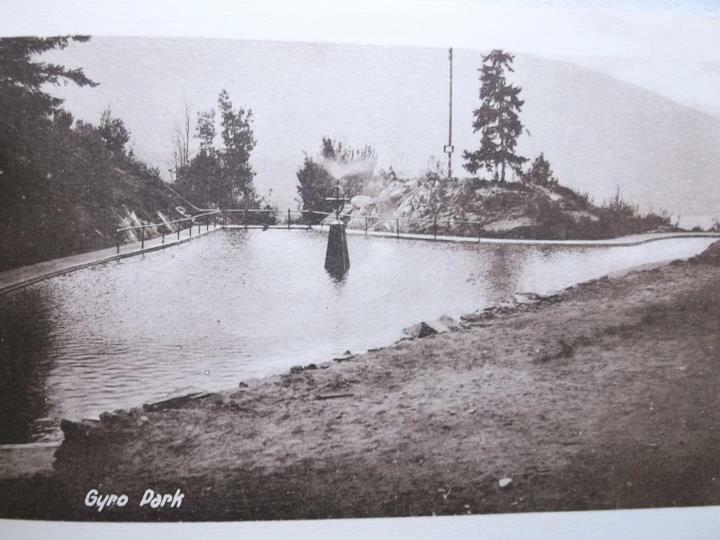 Specifically, there was a park with an outdoor pool for kids. 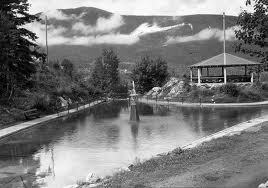 The pool had been there since the 1930s – a long time before I ventured into it. Still, when I was the right age I liked to think of the pool as “my” pool. 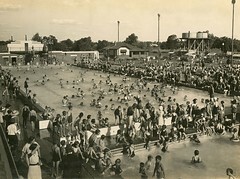 Everyone knew of the park and at various times had gone to the pool. It opened late in the day (after lunch) and had no heating. There was a small area where babies could wade but most of the pool was the same depth and it felt too deep for a short kid like me. 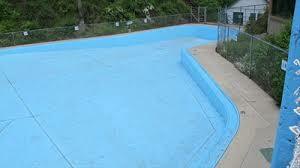 The pool itself was pretty minimalistic – more like a skate park with its stark slopes of faded teal paint. There were no slides, no whirlpools, water fountains or spray toys. But it didn’t much matter: in the summertime it was perfect for cooling off. I remember a day when a friend of mine and I ended up there. It was summer, and it was hot. We’d been waiting in the heat for the pool to open. I think I probably forgot my towel, because I forgot things at that age. We didn’t care – we were happy to finally get into the water. In the relief and joy at finally feeling cooled off we failed to notice the lifeguards walking the pool deck. Some things you don’t notice til after the fact – like the police car parked on the street as you rush to make the yellow light in traffic. Unfortunately, it was a lifeguard who kicked us out of the pool. I wasn’t a crazy and rebellious kid. I was more likely the kid voted “lemming” than to lead a break-away faction against normalcy. I was shy and wanted to just be the same as everyone else. I kept my head down and if something didn’t concern me I tried to pretend it didn’t exist. There may have been signage at the pool. I doubt I would have read it. The signage may have explained that age restrictions for the pool were for those 12 years and under. I was a short kid so I could be as old as I was, or as young as I wanted to say I was. My friend was already 12. My birthday was at the other end of the year so not only could I barely keep my head and chest out of the water I was also really only half-way through being 11. The lifeguard spotted us – my taller friend and me (doing my best to be the same as everyone else) frolicking in the water. He asked us how old we were. Why is there never water in the pool? It is only open during the hottest months: July and August. My memory fades after this. We probably got out and got changed. We probably weren’t as hot, but the experience at the pool had soured the afternoon of fun. Even though my feet could barely touch in the deep end, we were kicked out for surpassing an age limit. The irony of being too old for something, so early on in life, has cautioned me about being truthful about my age. I look for the sign if I take my kids to that pool – the sign that limits admittance by age. I’m not sure if I’ve seen it. Or maybe it’s there and I just don’t want the reminder. Instead, I don’t notice it. This is my story about remembering the time when… and the pool! Click on the icon below for more info. This season of transition seems to take a long time. How am I supposed to know when I have turned the corner on change? Today I got up and was in the pool early for my swim. It was a good swim; for a moment or two I actually felt like a swimmer. The strokes were smooth and effortless, my legs felt strong, and my breathing was strong and controlled. It was good to be in the water again. The rest of the morning was somewhat rushed, but I’d planned my morning the night before (lunches for kids, clothes for work, blah, blah) and got out of the house reasonably well. The rest of the day was chaos. Crazy and strange stories at work that left me feeling frustrated, angry, and questioning my sense of judgment about others, the people I see everyday. We only know what others tell us about themselves and sometimes their reality is surprisingly different. What people do in their personal lives can be eye-opening and give a different perspective to your opinion. I found out an employee in my building had been charged with a crime, but nothing has yet been proven. Most of the night felt like a challenge against gravity in these first two positions. Running tonight was hard. The workout was a lot of hills and my body felt defeated. I’ve been running much less lately — the weather’s not as nice, my sense of motivation is low, and I am now needing a break. But running less has caught up to me and I was cramping and not feeling well. I knew that everyone else ahead of me was also working hard and not feeling great. But somehow when you see people ahead of you you just assume they are having an easier time. I know that not all days will be strong and easy. I knew today was going to be a struggle as we got out to do our warm-up. I still felt angry from the day and was having a hard time reconciling this in my head. Then to go and try to exert myself physically was just not the feeling I wanted. I spent over an hour doing homework with my daughter, and now just want to go to crawl into bed. I am tired on my double-workout days, but usually I am also energized from the effort and feel content in my efforts. Today I feel angry, sad, twisted, and broken. Tomorrow, tomorrow. Tomorrow is another day. * Have you ever wanted to just give up and start your day again? * Have you ever found out something about someone that made you see them in a whole new light?